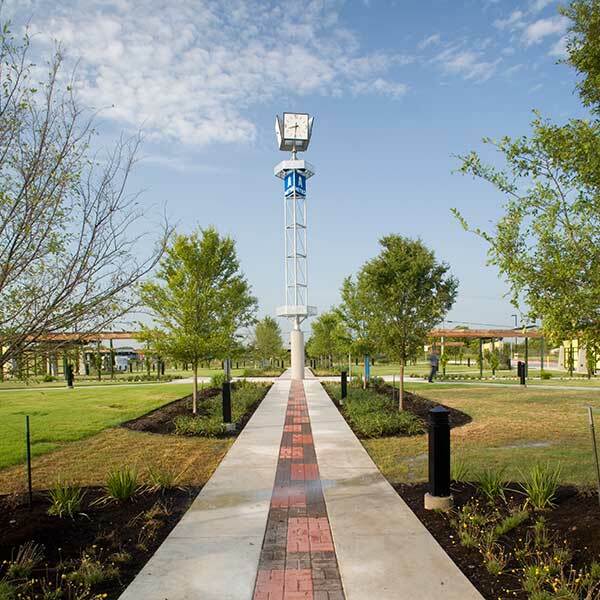 The South Central Transit Center is strategically placed to serve as a major crossing point for east-west and north-south routes, including Capital Metro’s busiest route, 1L/1M North Lamar/South Congress. 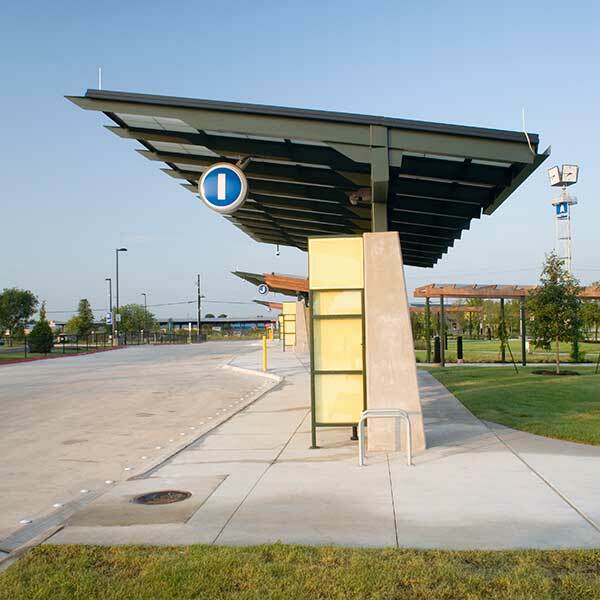 Located on a major state highway and several local “rapid bus” routes, the Transit Center serves the South Central section of Austin, Texas, Capital Metro System. 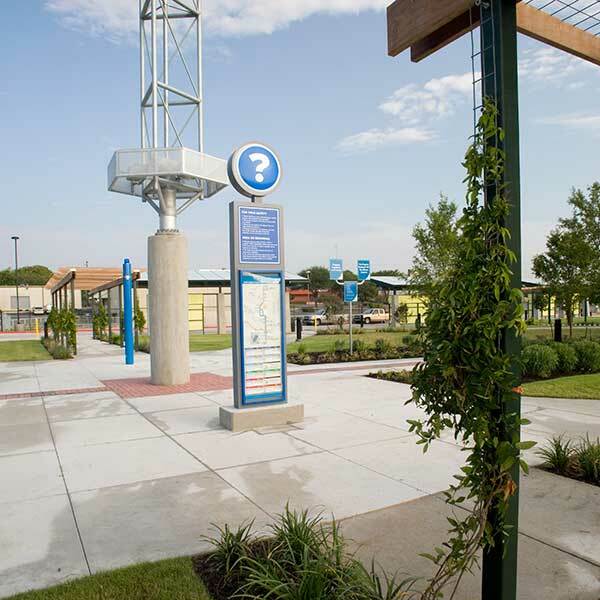 The facility, with thirteen dedicated bus bays, is designed to accommodate several existing and planned fixed routes, including future Rapid Bus service. 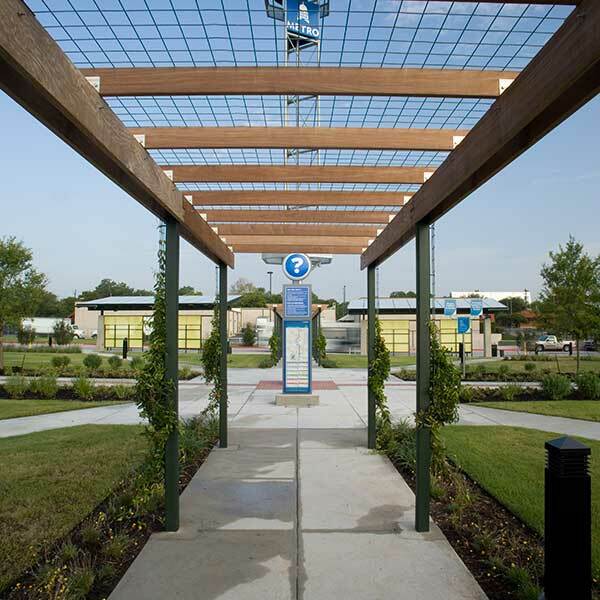 The South Central Transit Center has a park-like atmosphere with trellis-covered walkways, a central promenade with shade trees, protected passenger canopies, covered bicycle parking, a clock tower reminiscent of the moon towers around Austin and space for future food service vendors. Climate controlled building structures house ticket sales, restrooms, support facilities, route information and vending machines.